MHTableTennis: The Most Popular Table Tennis Footwork Drills Among Professional Players! The Most Popular Table Tennis Footwork Drills Among Professional Players! What are the professionals' favourite footwork drills? Liam Pitchford: Middle FH, Wide Ball, because it is an irregular drill where you need good body position to play every shot. Omar Assar: Three point forehand because it gives you good coordination between your footwork and hand movements. Patrick Franziska: Two point forehand corner to corner, you have to be very fast and stay low on your legs all the time and it covers an extreme distance on the table with the forehand. Tiago Apolonia: Falkenberg, it is hard but you feel good after doing it! 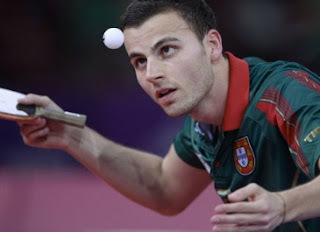 Ovidiu Ionescu: Falkenberg with a deep forehand ball. This drill is great because you get good speed, mobility and reaction and also get to improve on the movement around the pivot forehand which is very important for me! Adrian Crisan: Falkenberg, gives me good feeling after in matches to go around and play forehand more often. Werner Schlager: Middle, Wide a perfect drill to check my safety and quality. Tetyana Bilenko: One short forehand, one long bh (chop), one short bh, one long fh (chop), full cover for the table. Soumyajit Ghosh: 3 point forehand is the best way to improve forehand movement. Joao Monteiro: 3 point forehand, I am a forehand player and my game is based a lot on my forehand so with this exercise I can improve both technique and footwork and as well cardio system. Britt Eerland: Always changing exercises to try and work for as many different scenarios as possible, sometimes backhand random change, sometimes small random footwork, long footwork. Important to not always stay the same. So there are a handful of the favourite drills from some of the best players in the world! What is your favourite footwork drill?